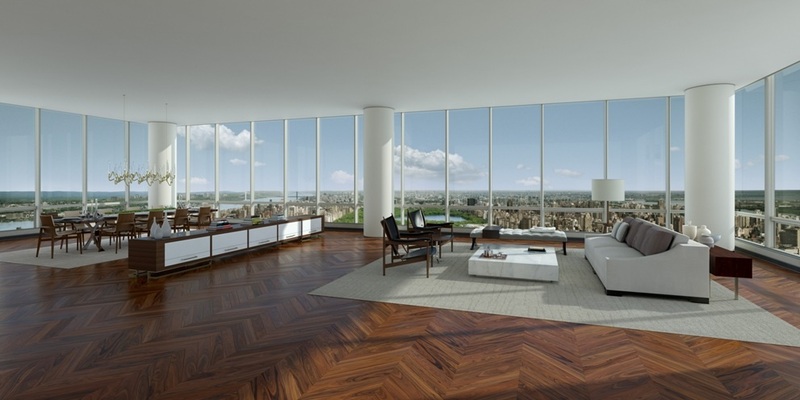 One57 located at 157 West 57th Street is a new famous, fabulous and elegant condo project by Extell Development at 157 W 57 Street, New York, NY. Luxury condo built 2013; Extell Development project; Architect: Christian de Portzamparc; 90 floors, 136 units; Doorman, Fitness Room, Pool. 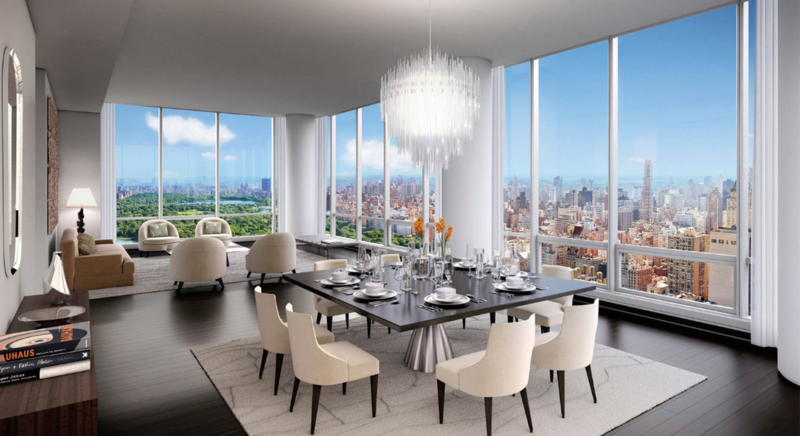 Rising to over one thousand feet above midtown Manhattan, ONE57 elevates New York living with the longest South-to-North views of Central Park ever offered in private residences. Prize-winning architect Christian de Portzamparc creates a landmark among landmarks that will forever redefine luxury living in New York. Each residence has been meticulously planned with gracious layouts and wide dimensions. They boast over-sized doors and soaring ceiling heights, providing a glamorous stage for entertaining guests. Materials of the highest quality are provided: rich rosewood flooring in a French herringbone pattern or select white oak, slabs of Italian marble, and custom hardware and light fixtures. 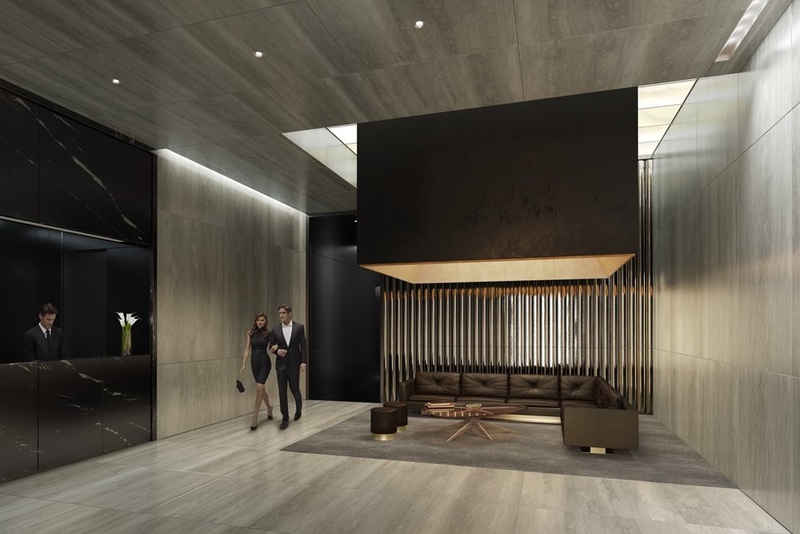 Expansive spaces that feature custom details, the finest natural finishes, and the most dynamic views of Central Park- ONE57 will redefine luxury New York living.